A new guard is emerging in the form of the Pashtun Tahafuz Movement (PTM), led by the passionate 26-year-old Manzoor Pashteen. For too long, the faction of Pakistani society that upholds the principle of equal citizenship as a fundamental human right has been in despair. This is because human rights are an ideal no one disputes in theory but which, in essence, depend on the non-discrimination of individuals, whether based on religion, language, political opinion or socio-economic standing. However, human rights often becomes a provocative term when applied to a blogger with a dissenting political opinion, or to those we celebrate as symbols of our diversity on Easter and Christmas, or to those listening to speeches about their heroic contributions to the war on terror amidst the rubble of their homes. Demanding equal rights in all aspects of life can thus turn even model citizens into traitors. Much has been written about Pakistan’s identity problem and the ideological tensions it has created in society. The country’s power brokers have long felt a homogeneous national identity based on one religious school of thought and one language. Any major threat will enhance solidarity between the diverse groups of people and make the country more secure. Any attempts to bring in varied perspectives, they believe, will destabilise the country. This viewpoint comes at the cost of Pakistan’s considerable diversity, with a population that speaks 74 different languages, and comprises of roughly eight million non-Muslims (an estimate that may be under-represented, as many understandably choose to conceal their religion). Religious, cultural, or other ties that fall outside the realm of the state’s official narrative have been diminished. From legal barriers to equal citizenship (non-Muslims are ineligible for the position of head of state), to pressing social prejudice, such as the one stemming from India’s caste system – religious minorities experience an increase in vulnerability. The fear may be of structural or physical violence, and may even stem from fear of the country’s blasphemy laws. But change seems to be brewing in the melting pot that is Pakistan. 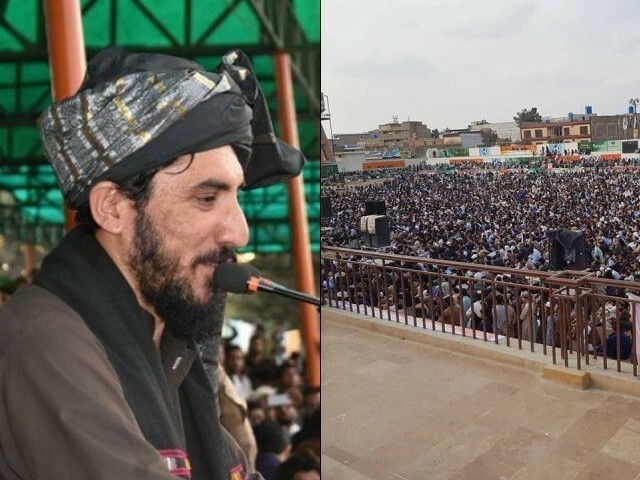 A new guard is emerging to challenge the status quo from the far-flung corners of Pakistan, in the form of the Pashtun Tahafuz Movement (PTM), led by the passionate 26-year-old Manzoor Pashteen. Having borne the brunt of the war on terror over the past decade, the PTM is now taking the state to task for what it claims to be a long list of human rights violations. The movement intensified after Naqeebullah Mehsud, South Waziristan’s aspiring model whose only fault thus far appears to be that he fit the ethnic profile of the very terrorist the country vowed to protect him from, was killed in an allegedly fake police encounter. On the contrary, the man wanted for his murder was whisked off someplace safe before arriving in court like a celebrity. The members of PTM might be different in many ways from other minorities in the country, but their rallying cry reminds us of a power structure that has long been similarly discriminating against and violating the rights of the non-majority. Their emergence is an act of defiance against an exclusionary nation-building process that has contributed to the pain and suffering of many marginalised groups. Such is the case of the Christian couple, Shahzad and his five-month pregnant wife Shama, who were reduced to ashes inside the very brick kiln that had consumed their lives with bonded labour. They belonged to a community already living on the fringes, devoting their lives to cleaning our streets and our homes, yet considered by some as too impure for a fasting doctor to touch. And so it was easy for fanatical villagers to throw them inside a burning furnace, fed with hatred by men capable of holding our capital city hostage on a whim. While the PTM has finally captured everyone’s attention with its rallies and media activism, it faces tremendous obstacles making it easy prey to intimidation. The members belong to a lawless and impoverished corner of Pakistan. 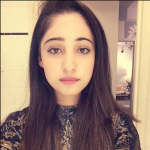 They face language barriers, speaking mostly in Pashto. Powerful institutions oppose them, and there is a clear lack of support from any mainstream political party. Amnesty International has already raised alarm bells on the criminal charges being filed against the peaceful protestors. They are also more susceptible to enforced disappearances, which according to the United Nations Working Group on Enforced or Involuntary Disappearances, already adds up to more than 700 pending cases thus far from Pakistan. However, we could have never imagined some of the gains that the movement has already made, and that ordinary citizens from Waziristan would one day speak out in a way that will compel people to listen. The road towards equal citizenship may be long and rocky, especially since it is often tied to the country’s security. But young human rights activists, fuelled by anger and grief, have set in a momentum that was as inevitable as it was unexpected. We must do all we can to harness this crucial moment in Pakistan’s history in a peaceful and inclusive way, and pick up the pace on the much-needed conversations on political and social change. Such change will not destabilise Pakistan, but will make it stronger and fairer for all its citizens. I disagree with you. The “democratically” elected governments have had plenty of time to sort this out. This isn’t about nation building. It is about giving rights to a people they are entitled to. Nothing to do with democracy either; its about fundamental rights which any form of government must provide to its people. The fundamentals of your argument rest on the mistaken belief that if we continue with the current state of affairs over a period of time things will improve. They won’t. Reason: you will never get rid of the parasites of the political elite who cling on to power and pass that power on to their family as part of inheritance. The political class seeks absolute power. It must learn that there is no such thing in a democracy. They change the country’s constitution so they can continue their corruption legally. As for the Pakistani Christians, their contribution to Pakistan is immense and immeasurable. They are educators. they have educated our Presidents and PMs. they have lost lives and often face made-up charges of blasphemy. Don’t mess with them. In any nation, the bureaucracy forms the backbone for delivery of governmental services to citizens. In Pakistan, successive military dictatorships have rendered the bureaucracy incapable to such an extent that no government can utilize them effectively for delivery of services. Firstly I have no problem with what your second comments. But, you are making two different points in each of your two comments. In the one that I repied to, you are giving far too much importance to the “elected” governments. Importance they do not deserve. You seem to be leading to the conclusion that all forms of democratic governments are good. That is the impression I got; if incorrect please advise. Very cheap attempt by you to insult Pakistanis. But on a serious note, a constitution does not reflect the mindset of the average people. It reflects the mindset of the elite political class who made the constitution.